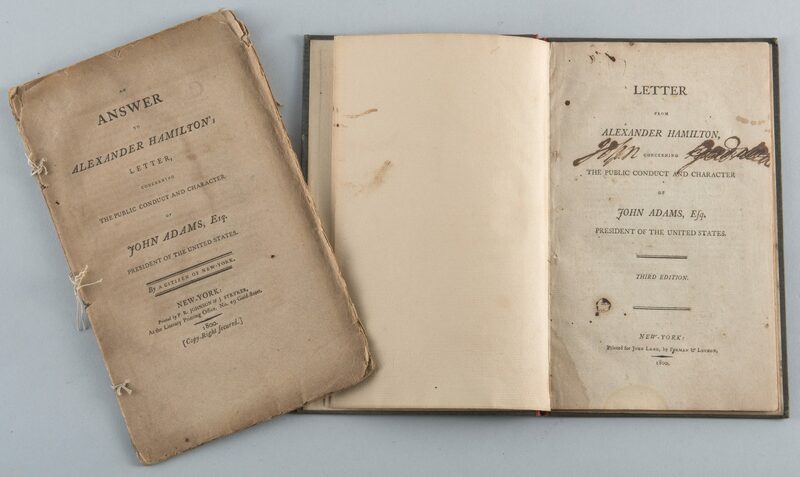 Two Early American Imprints concerning Alexander Hamilton and John Adams. 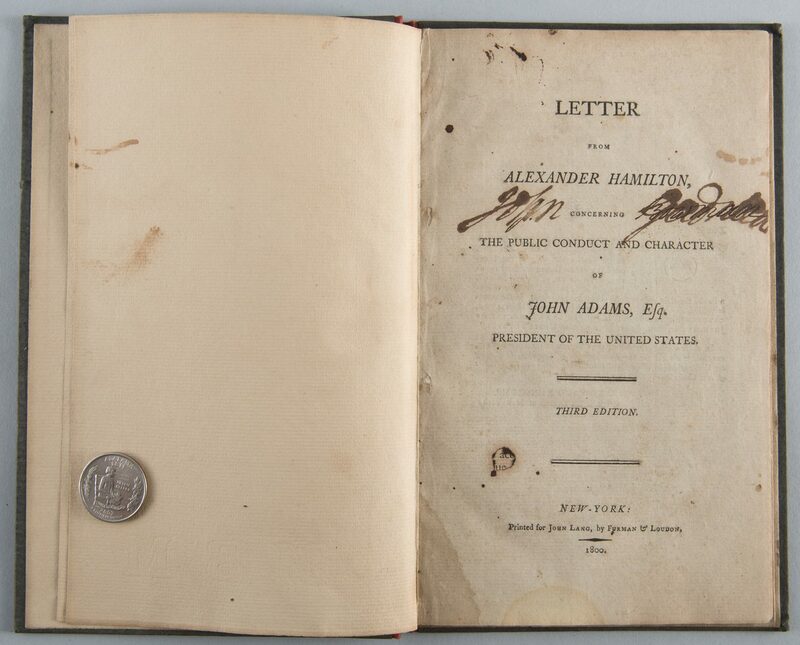 PAMPHLET 1: Letter from Alexander Hamilton, Concerning The Public Conduct and Character of John Adams, Esq, President of the United States. Third Edition. 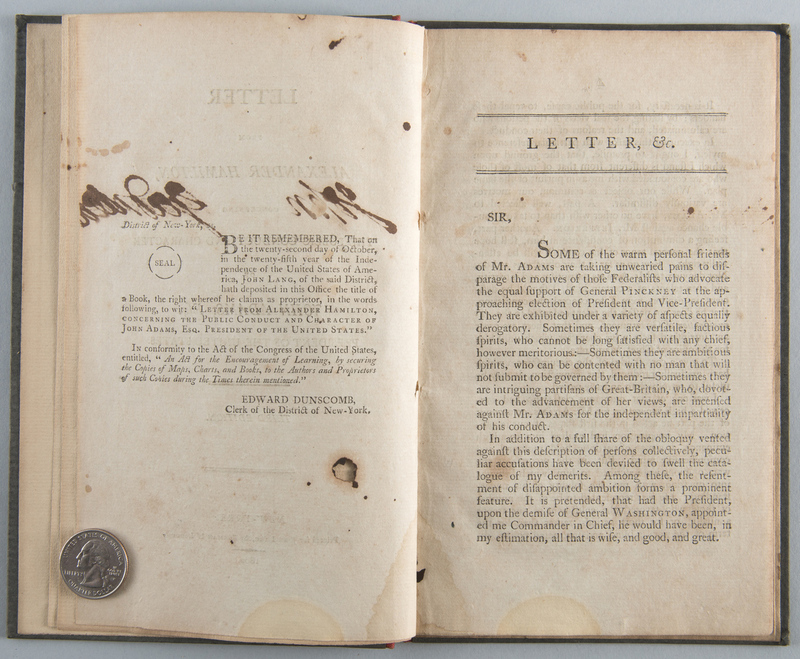 New-York: Printed for John Lang, by Furman & Loudon., 1800. 54 pp. 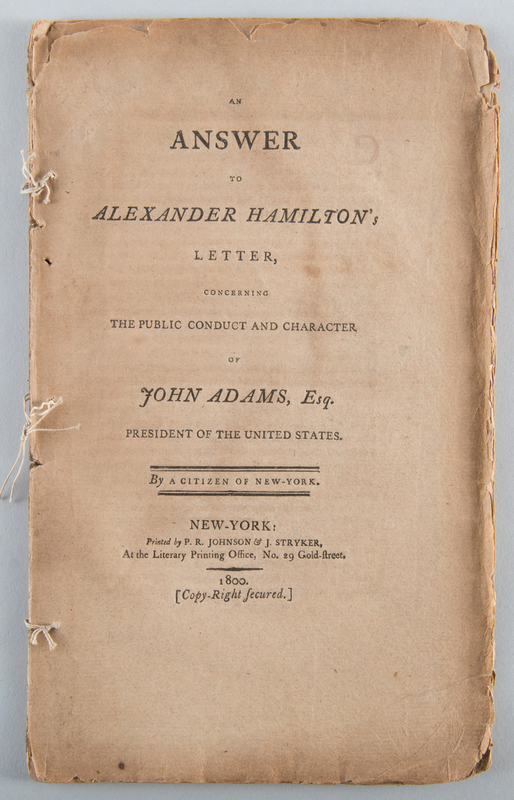 8 1/2" H x 5 1/2"' W x 3/8" D. PAMPHLET 2: An answer to Alexander Hamilton's letter, concerning the public conduct and character of John Adams, Esq. President of the United States. By A Citizen of New York. New-York: Printed by P.R. Johnson & J. Stryker, At the Literary Print Office, No. 29 Gold-Street., 1800. 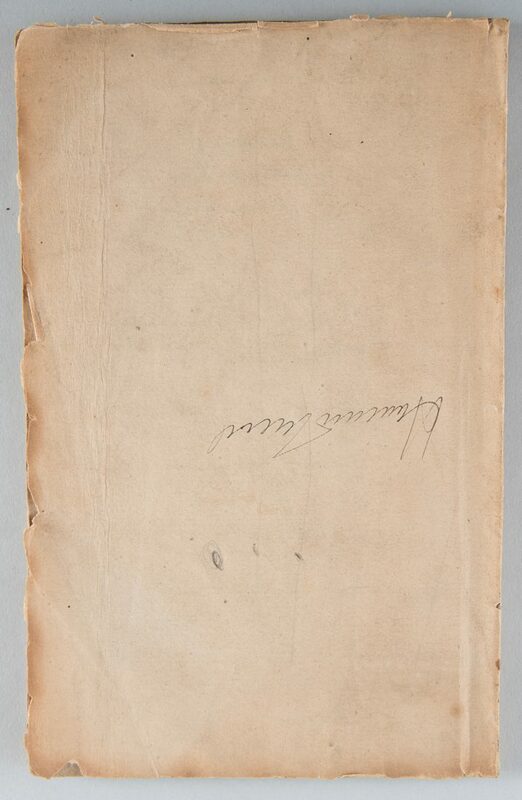 (Copy-right secured.). 32pp. 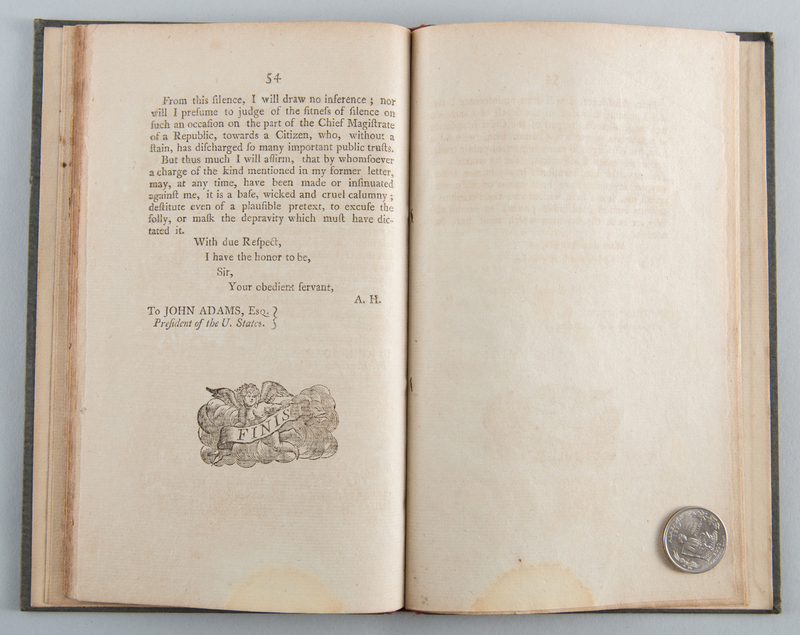 9" H x 5 1/2" W x 1/8" D. CONDITION: Pamphlet 1 has edgewear and chipping with minor loss. 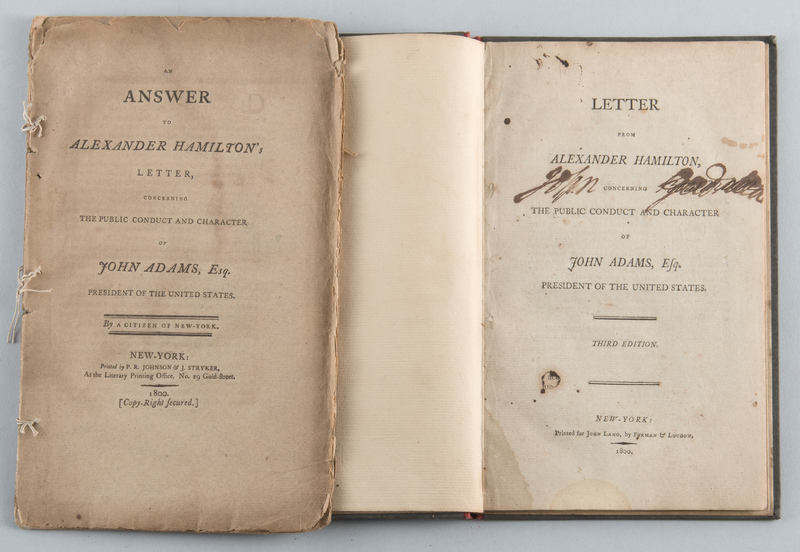 Pages toned somewhat but otherwise in good condition. Gathered and tied with three strings. 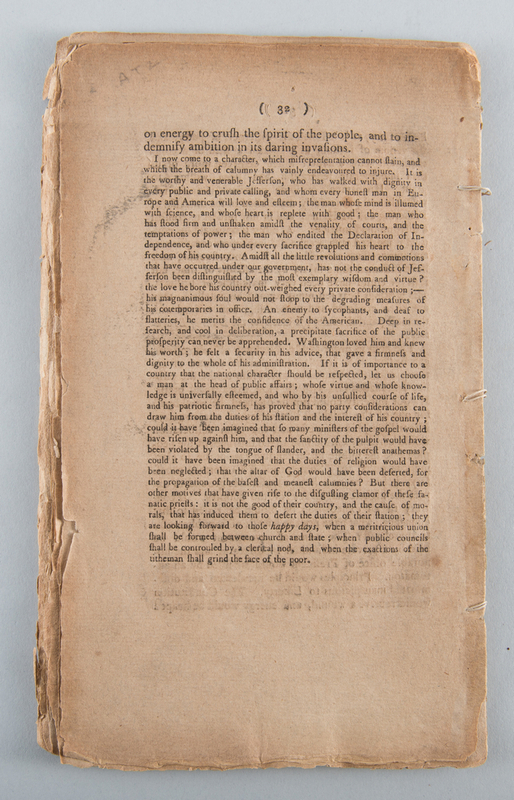 Pamphlet 2 has been rebound at a later date with cloth spine / paper covered boards with typed label. 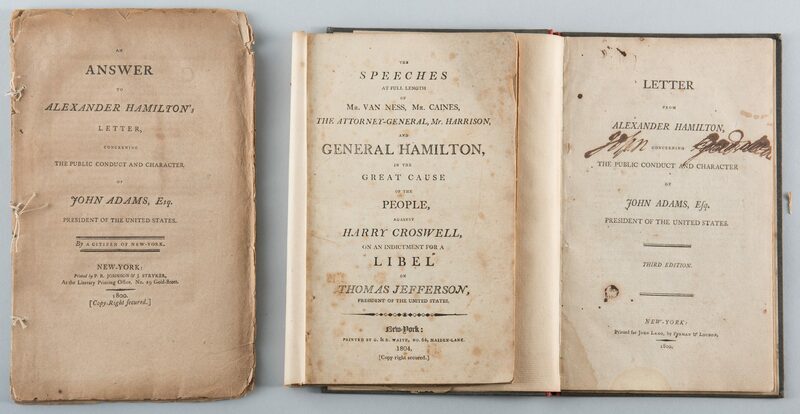 Pages and text in good condition with just some foxing, toning, and offsetting.